All MR. GOODBAR<sup>.</sup> products are unquestionably warranted to be free of defects for the lifetime of the product. Call 1-800-661-7555 for details. Ideal Security's best-selling Patio Door Security Bar is now even better, with the addition of our childproof Anti-Lift Lock!Add safety, security, and a visual deterrent to your sliding patio door.FEATURES-NEW! Anti-Lift Lock: We've added an optional clip that prevents children from raising the bar and getting outside, and protects against potential intrusion when the door is locked in an open position.-No more bending down: Because the bar is mounted at arm height, you won't have to bend down every time you want to open the door.-One-touch adjustability for ventilation: The bar can be easily adjusted and locked at any width, so you can lock your door in a slightly open position, staying safe while still letting in fresh air.-Easy to install: Adjustable from 25-1/2 in. to 47-1/2 in. wide, the SK110 will easily fit most doors, so it can be installed with no cutting. Simply fasten the brackets at either end of the bar to your door frame with just a few screws. Protect your home and family by securing any window not required for emergency escape. This easy-to-install window bar can be in place in minutes, giving you peace of mind for years. The adjustable width and Universal Mounting System ensure a perfect fit, even if your window is out of square. Get instant security for your home and family with this easy-to-install window bar. This popular model is hinged for easy access to your window in case of fire or just for cleaning. The adjustable width and Universal Mounting System ensure a perfect fit, even if your window is out of square. Keep thieves out with this easy-to-install security bar. This model is suitable for infrequent or temporary applications, like cottage windows or storefronts. 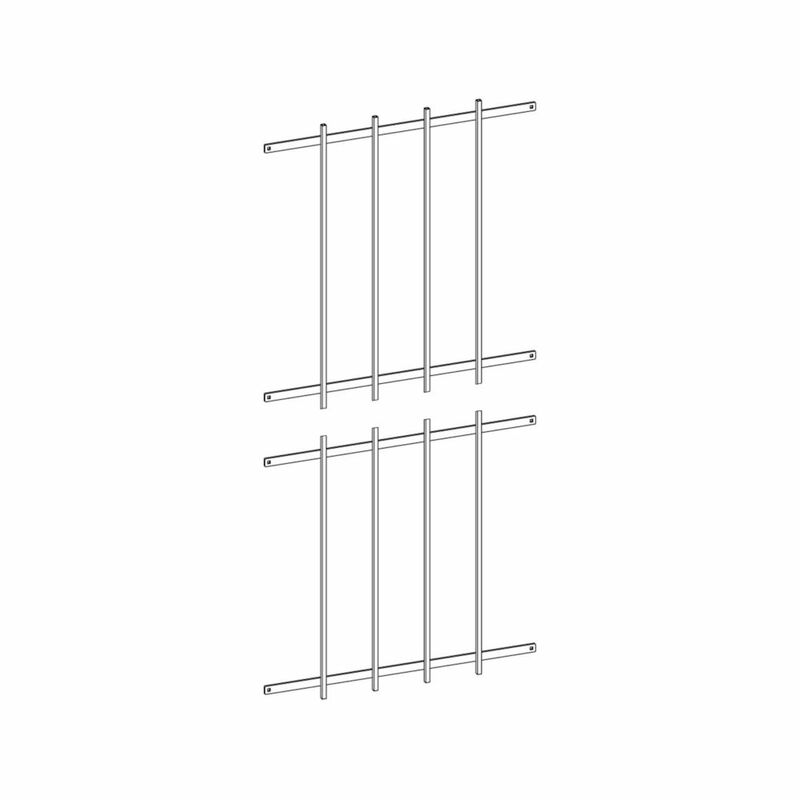 Install these window bars when you're away or the store is closed and remove them when you're in and they're not required. The adjustable width and Universal Mounting System ensure a perfect fit, even if your window is out of square. Secures with a padlock (sold separately). Commercial Door Security Grille is rated 5.0 out of 5 by 1. Rated 5 out of 5 by David from Great product for the price, fits a standard commercial door... Great product for the price, fits a standard commercial door (top to bottom) perfectly!